Zero brings to you this half sleeves T-Shirt and shorts set that will keep your child comfortable throughout the day. 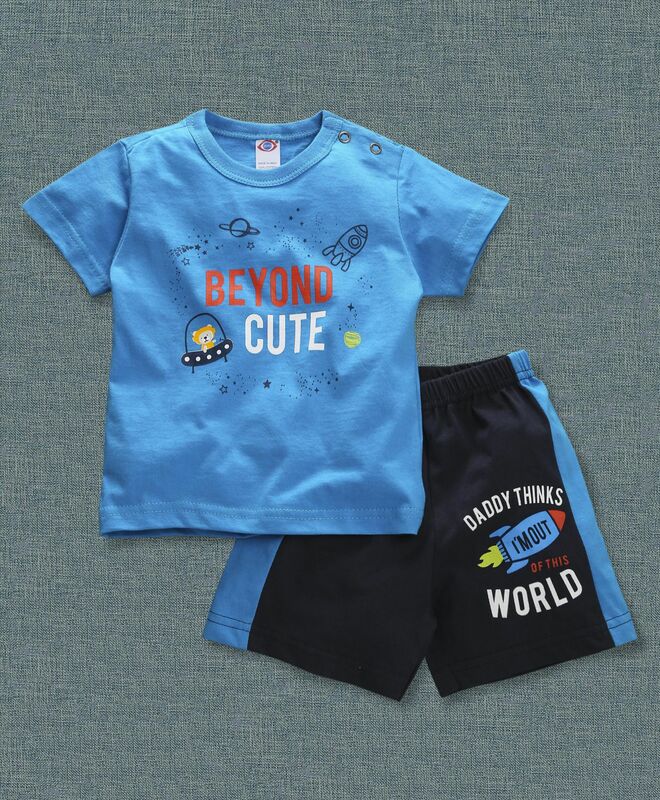 Crafted from soft fabric, 'Beyond Cute' print on the T-Shirt and side stripe shorts with elastic waist makes a stylish set. Kids will be comfortable all day long in this set. awesome look....of my baby after wearing it....size looks perfect..